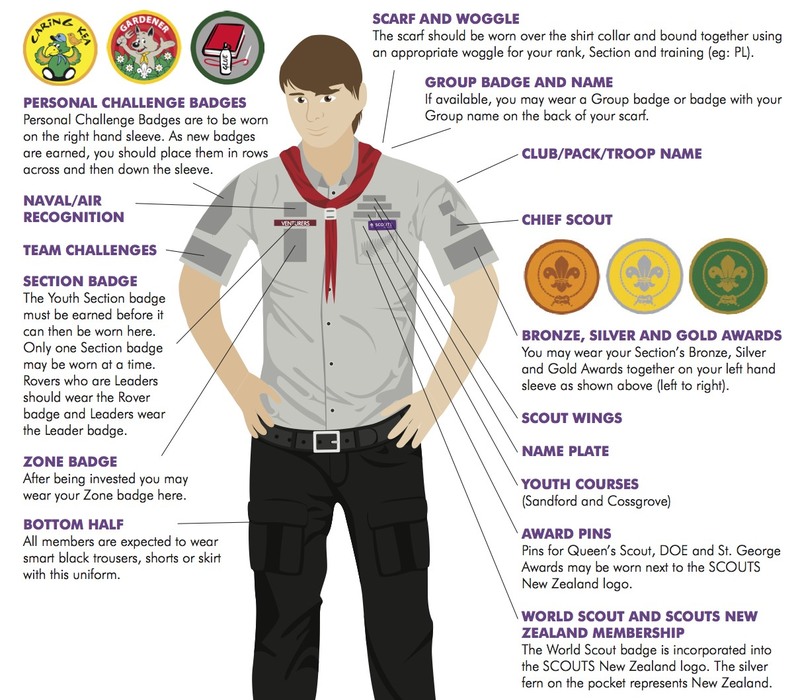 The Badges will be completely FREE – supplied by the National SCOUT Centre. If a Youth or adult brings an adult that becomes a Warranted Leader, Scouting Associate Committee Member or Adult Helper, they will get the centre (and most important) Blue Badge. 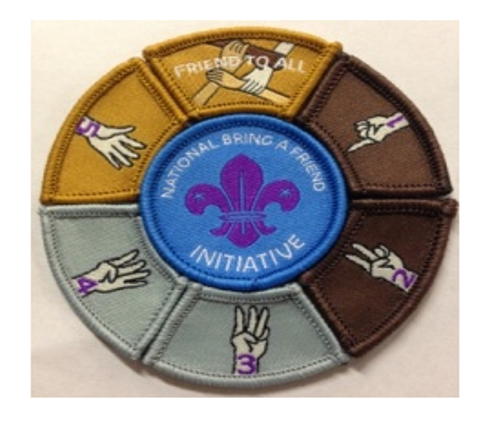 If a Youth or adult brings 1-2 Friends, they get Bronze Badges respectively. If a Youth or adult brings 3-4 Friends, they get Silver Badges respectively (in addition to the Bronze badges already achieved). If a Youth or adult Brings 5+ Friends, they will get the Gold Badge (in addition to the Bronze and Silver badges already achieved). Once a Youth or adult had brought at least 1 invested adult and at least 5 friends or adults, they will get the ‘Friend to All’ badge to complete the set. Youth must be invested into the Group for the inviter to be given a badge.